Snapping its two-day losing streak, the rupee ticked higher by 23 paise to close at 71.57 per US dollar on Tuesday amid fresh foreign fund inflows and gains in domestic equities. 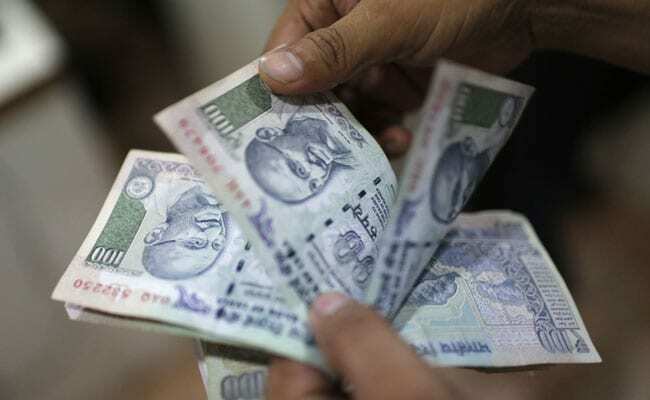 On Monday, the rupee had plunged by 55 paise to close at 71.80 against the US dollar. Forex traders said sustained foreign fund outflows and surging crude oil prices restricted the rupee up move. Foreign funds purchased shares worth Rs 420.65 crore on a net basis, and domestic institutional investors bought shares worth Rs 194.31 crore on Tuesday, provisional data showed. Meanwhile, brent crude, the global benchmark for oil, was trading higher at $62.87 per barrel higher by 0.58 per cent. Benchmark equity indices ended marginally higher. The 30-share Sensex ended 34.07 points, or 0.09 per cent, higher at 36,616.81. Similarly, the NSE Nifty edged up 22.10 points, or 0.20 per cent, to 10,934.35.